If you have recently stopped receiving communication via email from the Church or if you would like to be included in our email blasts. 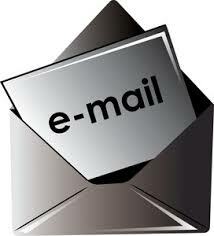 Please send us an email at levitfpc@optonline.net. There will also be a sign up sheet on the Church table in the Narthex. E-mail addresses will be used for The First Presbyterian Church of Levittown’s purposes only, and will not be shared with any other party. This entry was posted on May 6, 2015, in Church Life and tagged church members, church records, communication, congregation, email, email blast, email records.